I just got back from another trip to Vegas. My mom and I had a great time, despite being on a budget. 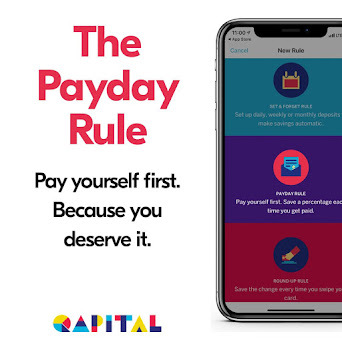 We wanted to spend most of our money on food, and we did, so we filled our time with some activities I purchased tickets for in advance (for her birthday) and with quite a bit of free ones. 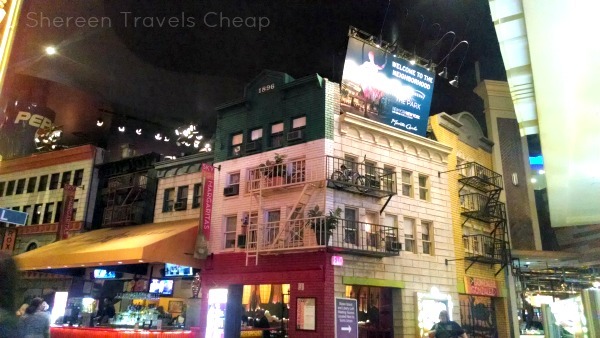 Vegas is constantly changing, so there are always new things to do and eat, but that also means you have to plan what you want to do in advance, because what was there last time might be gone or replaced the next. There are quite a few free things to do though that are ever-present, which I tend to do each time I visit. 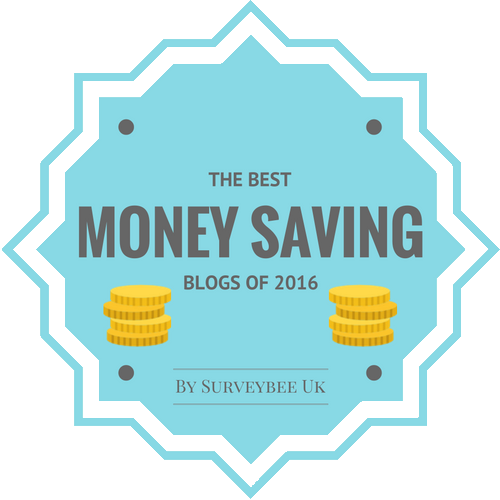 Here are some of my picks for making your dollars stretch during your Vegas vacation. This is pretty much a Vegas institution, even though it's technically in Henderson. 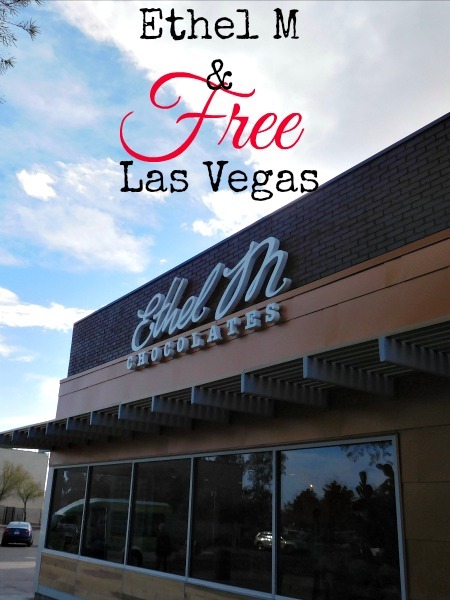 If you like chocolate, and you have a car, make sure to take a few hours to head over here. 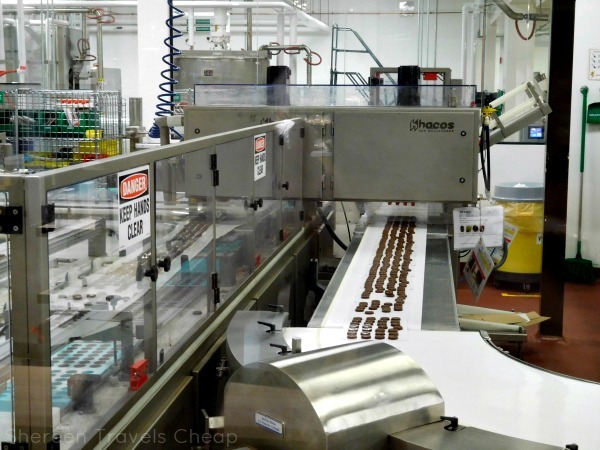 The factory is a self-guided tour where you can see chocolates being made and read about what's happening. 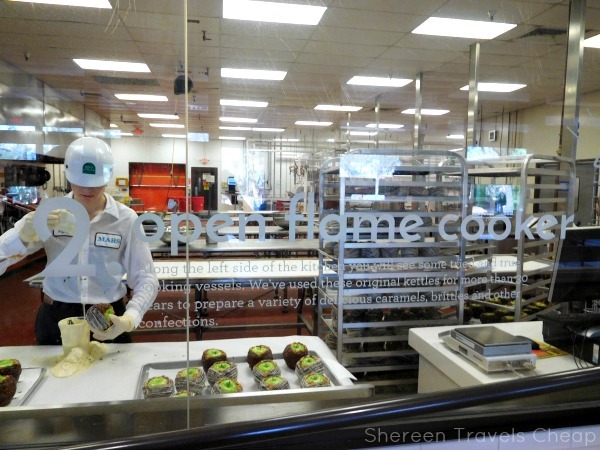 The factory portion isn't large, but it was fun to see the machines and equipment, plus the chocolatiers making things like chocolate-covered apples. At the end you can take a picture of yourself with giant chocolates. You also get a free sample and, obviously, can make a purchase in the gift shop. Head outside and take a stroll through the cactus garden. It's totally free and open until 10pm. They light the garden up at night, which gives it a whole different feel. 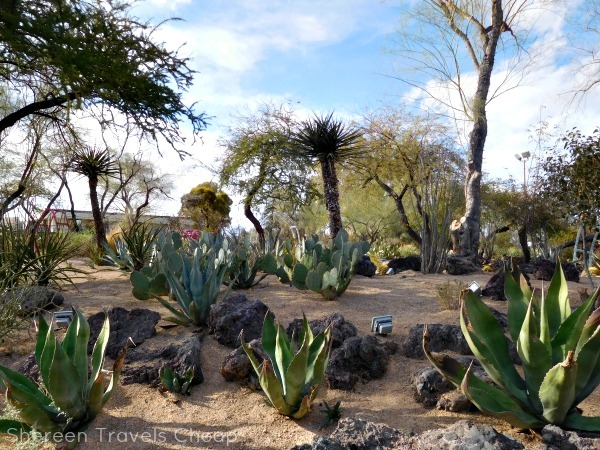 During the day, though it may be hot out, you can see a large variety of cacti and desert plants. Even living many years in Arizona, I've seen some plants there that I hadn't grown up with. They have plaques to teach you about them and there a lot of places to sit and hang out, including a lovely little gazebo. You already know how much I love the Bellagio Conservatory, but let's talk about it again for a minute. If you like flowers (and even if you don't), this place is amazing. 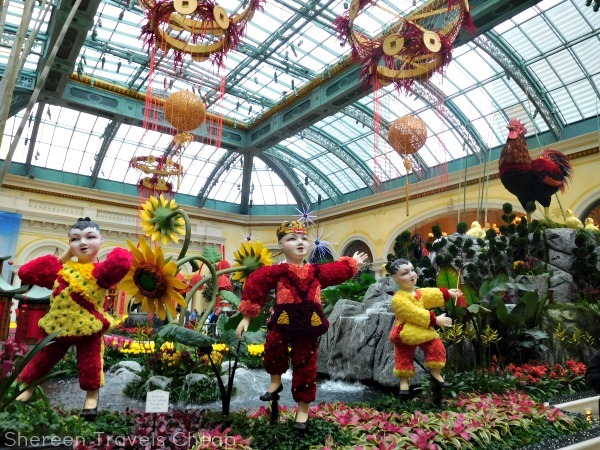 It's a large open space with a glass ceiling off the Bellagio's lobby that has a new theme every season. This season they had it decorated for Chinese New Year, with giant roosters, baby chicks, a model of the Shanghai hotel and a koi pond. The conservatory and botanical garden is open 24/7 and makes for some amazing photo ops. There are almost always a ton of people in it. 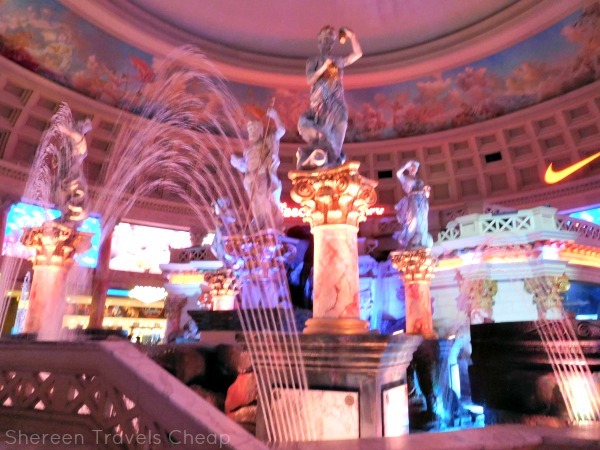 This animatronic show has been in the Forum Shops at Caesars for many years. Unfortunately, it feels that way and could really use an update, or at least a rerecording, but it's still quite popular. The show takes place on the hour throughout the day and tells of the passing down of ruling over Atlantis. If nothing else, there's fun effects, including water and fire and a demon(?) with wings. It's cheesy, but I still think it's worth a view at least once, plus there's a great aquarium on the backside of the fountain with rays and sharks and colorful fish (there's also a restroom right there and a wonderful art gallery that showcases some fantastic artists, like Roy Lichtenstein, one of my personal favorites. 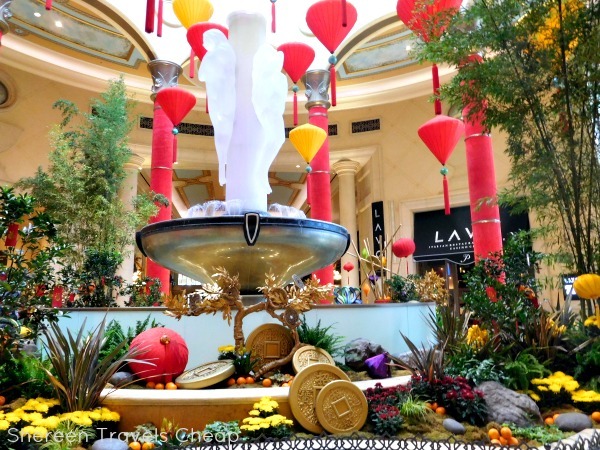 The lobby of the Palazzo Hotel and Casino, much like the Bellagio, has a large centerpiece that is changed out seasonally, and usually consists of large women made of flowers. This time it was done up for Chinese New Year with huge gold coins, lanterns, roosters and orange trees. 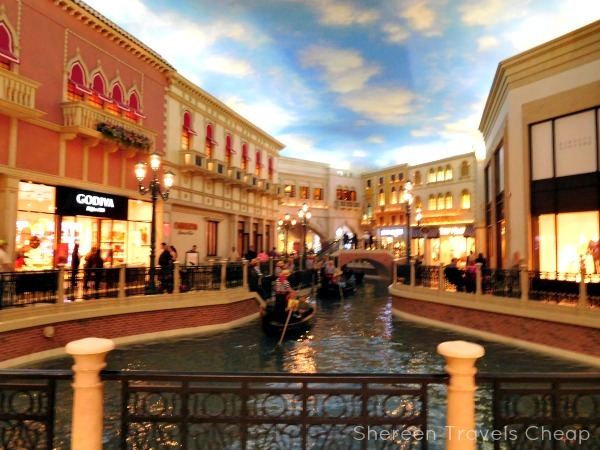 Head back out and go into the Canal Shops that connect the Palazzo with the Venetian. The decor in the shops mimic the lobby. This trip, there was a large dragon in the fountain and this awesome metal art in front of the waterfall. We were lucky enough to get a photo of us with it while we were there. Tip: Always ask a stranger to take a pic and reciprocate for them You can get some great pics that way. If you go a little further in, you can catch the gondoliers singing. It's like being outside in Venice, except with a ton of fancy shops. It can be pretty relaxing though, so take a stroll through at least once. You can take your photo on one of the many bridges that stretch over the river. I'm pretty sure this isn't going anywhere, because people love it and the pool is right behind all this bird stuff. 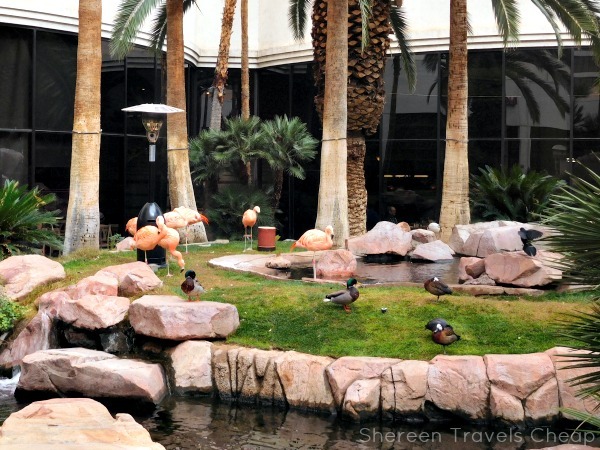 It can be difficult to find the flamingo habitat, but if you follow the signs toward the buffet and pool, you will find the doors to go outside. The Flamingo namesakes are out there, along with ducks, pelicans and other birds, plus turtles and koi. The habitat has a waterfall, several ponds and a pretty fountain. It's easy to get engrossed in all there is to look at and feel like you aren't in the middle of the Las Vegas Strip. 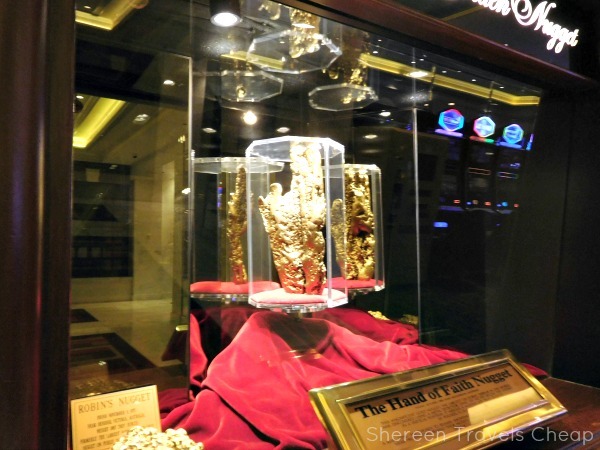 Again, this might be difficult to find and I've actually just asked someone in the past, but if you're going downtown or just to Fremont Street, duck into the Golden Nugget and check out the largest gold nugget (and the second largest). If you turn around, you'll also find one of only two known gold ATMs in the world. The only other one is in Dubai, and while you probably can't afford to take out money in the form of a gold ingot, it's fun to look and take pictures. I think last time I checked, it was something like $320 for the least amount you could withdraw as gold. You don't need to go to a museum to see amazing art. 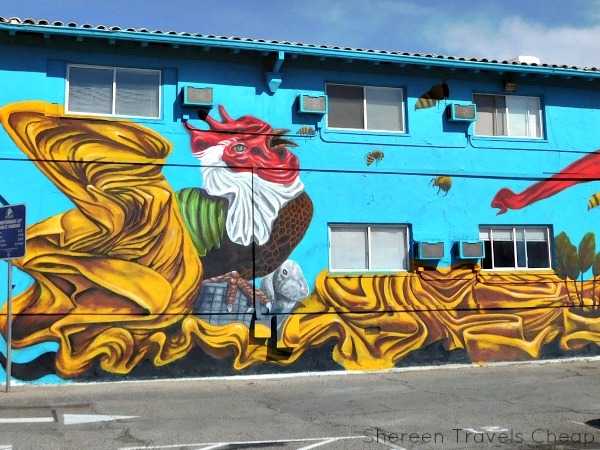 The streets of Downtown Vegas are literally packed with fantastic murals, signs and sculptures. The city works with local artists to make the downtown area a "place" to visit and give people a reason to get off Fremont Street and out of the casinos. 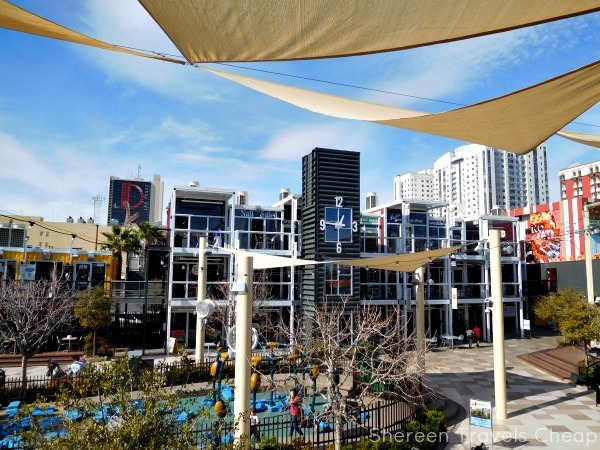 Just a few blocks from the Fremont Street Experience, you'll find the Container Park. It's stacks of shipping containers made into an outdoor mall. Shops, restaurants and other great little places are all in the space, plus a huge playground to keep the kids busy. On certain nights you can head in and see free movies in their "park" for 21 and over. There's even a huge art installation at the mouth of the park which takes on a different vibe after dark. You can also walk the streets of Paris (at the Paris), but I really love New York for some reason. I think it's the tiny balconies and the shop fronts and street signs. It's adorable. I always stop and get something quick to eat so I can eat "outside" and soak it in a bit more. Even if you don't gamble or stop to eat, just wander around the streets and don't forget to look up, because that's where some of the best details are. These are just a few of the free things to do in Vegas, but ones that won't be changing or leaving anytime soon. They are ones that I visit nearly every time I'm in town and are truly worth the stop. While you can certainly add the Bellagio fountains and the Mirage volcano, it's not always fun to be outside in Vegas, and those are always packed as well, making it hard to view comfortably. 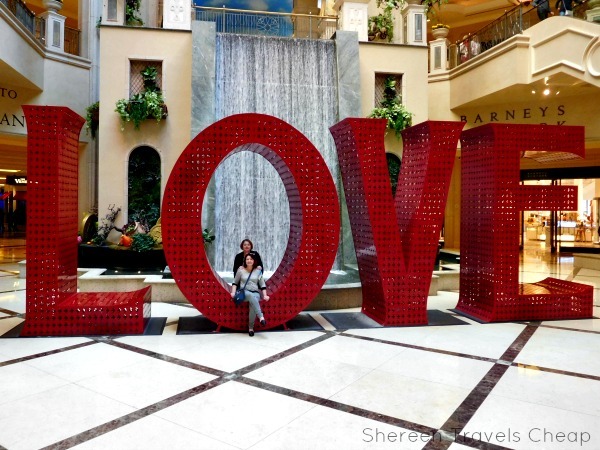 What are your favorite free (or practically free) things to do in Vegas?